Don't miss your chance to nominate for the Hugos! Register as a member before December 31, 2017! An important reminder: if you wish to nominate works for the 2018 Hugo Awards, you must be a qualified member of the World Science Fiction Society by December 31, 2017. Don't miss your chance to nominate! Register as a member today! Note: as mentioned above, to vote on the final ballot for the 2018 Hugo Awards, you must be a supporting or attending member of the 2018 World Science Fiction Convention, Worldcon 76 in San Jose, before the final voting deadline. 1943 Retrospective Hugo Awards to be presented at Worldcon 76! Just this summer, the Hugo Awards were recognized by the Guinness Book of World Records as the longest-running science fiction award. 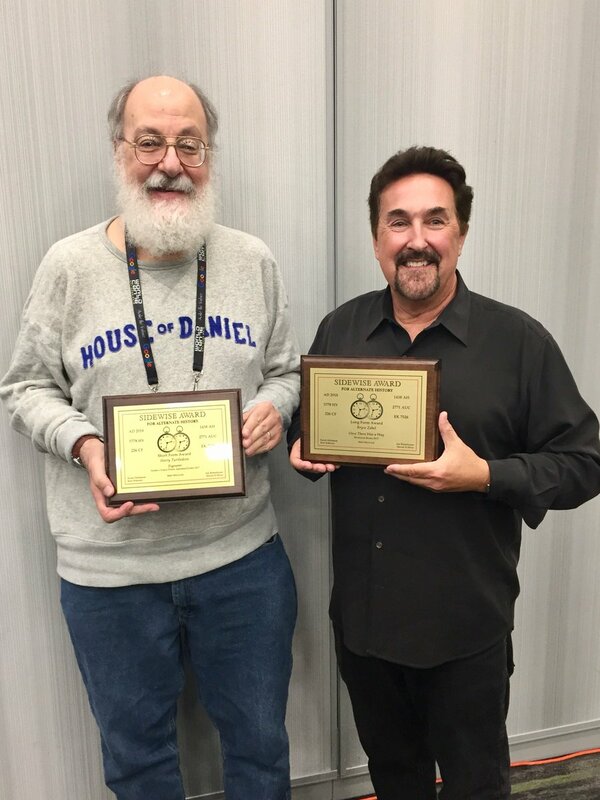 Since 1993, Worldcon committees have had the option of awarding Retrospective Hugo Awards for past Worldcon years (1939 onwards) where they had not been presented a multiple of 25 years prior to the contemporary convention, with the exception of the hiatus during World War II when no Worldcon was convened. This summer, however, a revision to the rules was ratified which gives Worldcon 76 in San Jose and Dublin 2019: An Irish Worldcon an opportunity which, if neglected, won’t return for another quarter century. Worldcon 76 in San Jose invites you on the evening of August 16, 2018, to walk the red carpet back through time to a 1943 Worldcon that never was, and celebrate with other fans the works of 1942. Dublin 2019, An Irish Worldcon is planning a First Night extravaganza, combining Opening Ceremonies and the Retro Hugos, celebrating the past, present and future of both the genre and Worldcon. During those tumultuous years, there was no shortage of speculative fiction, including the introductory versions of works destined to become classics. Live and animated cinematic works of all lengths provided escape to people around the world. We invite you now to join us on a brief visual tour of those years, some of the marvelous, the strange, the terrifying and the wonderful works of genre, and help us select the Retro Hugos for works of 1942 and 1943. As we make our future tomorrow, so too we can celebrate these Visions of Future Past.